We often get asked how to add the cart.js script tag (that generates the lightbox cart on your website) to Wordpress. Most Wordpress fields strip <script> tags, so the best way to add the cart.js line is to add it to your theme header so it will be available on every page and post. 4. Save header.php and check your site. The script tag for cart.js should appear right before your closing head tag on every page. 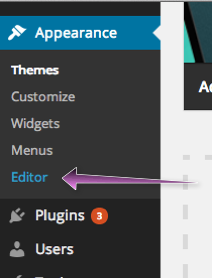 Note: Some themes have multiple headers like "header-post, header-fullwidth, etc." Generally, you can ignore these and put the script tag in ONLY the header.php file, which is the standard wordpress header that is loaded on every page.